On Sunday, June 12, 2016, the Excavations Director of Tunisia’s Institut national du Patrimoine, Dr. Fethi Bejaoui, announced the discovery of a Christian catacomb inside a hill being leveled for the creation of a new school for cinematic studies (Ecole Supérieure de l'Audiovisuel et du Cinéma, on the site of the former SATPEC complex) in Gammarth, a neighborhood of Carthage north of the city center. The date proposed for this cemetery is the third century CE, at the time Carthage was the capital of the Roman province of Africa, and home to organized assemblies of Christians and Jews. The Christian apologist and theologian Tertullian (ca. mid-second-early third century) lived and wrote in Carthage (and made explicit reference to Christian burial areas, “areis sepulturarum nostrarum”), and the catachumens Perpetua, Felicity, Revocatus, Saturninus, and Secundulus, were martyred there in 203. A few decades later, in 258, the city’s bishop, Cyprian, also suffered martyrdom while in exile from his metropolitan see. Early Christian cult sites to these saints, as well as to St. Monica, Augustine’s mother, have been identified in the area of Carthage. Evidence for Jews comes from Talmudic sources and epitaphs and other finds from the second and third centuries CE discovered in a scattering of rock-cut burial chambers in Gammarth during the late nineteenth century (now the site of a French military cemetery). Apparently, the new catacomb is not being associated with this documented site, roughly two hundred meters away, although the Jewish tombs were not organized into a catacomb “proper”, but rather in proximity to each other in a burial area outside ancient Carthage. The rescue operation by archaeologists and workers in Gammarth so far has brought to light about forty tombs, apparently of the loculi type, on at least two levels of the catacomb. 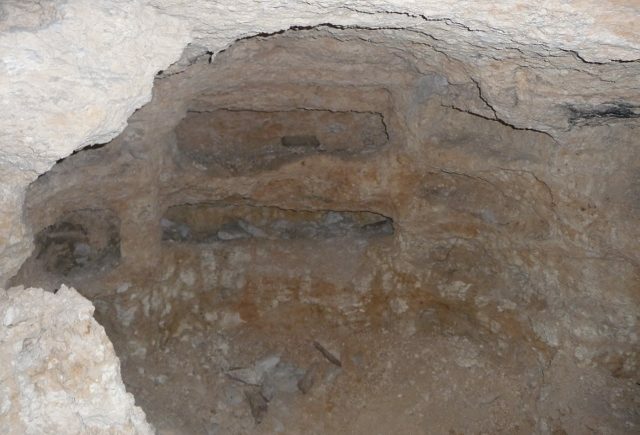 Other catacombs – strictly speaking, underground tomb chambers for families and/or burial societies – have been identified in Sousse (Hadrumetum), Bekalta and Salakta (Sullectum). Information on how to visit these sites is at the link: http://www.catacombsociety.org/catacombs-outside-italy/. Dr. Robin M. Jensen, Patrick O'Brien Professor of Theology at the University of Notre Dame, and current Vice President of the International Catacomb Society, has discussed these sites in her recent publication, co-authored with husband J. Patout Burns, Jr., Christianity in Roman Africa: The Development of Its Practices and Beliefs (Eerdmans, 2014). Recent commentary on the Jewish communities of Roman Africa is provided by Prof. Karen B. Stern in her study, Inscribing Devotion and Death. Archaeological Evidence for Jewish Populations of North Africa (Brill, 2007). To mark this fortunate find in Carthage, the International Catacomb Society is immediately releasing hundreds of photographs of Christian and Jewish sites and artifacts in Tunisia (many taken in the necropolis at Lamta excavated by Prof. Susan Stevens with International Catacomb Society funding) that are free to consult on our website at the link: http://www.catacombsociety.org/2004-shohet-scholars-in-italy-and-tunisia/.